Don’t Allow Rodents to spoil your business! 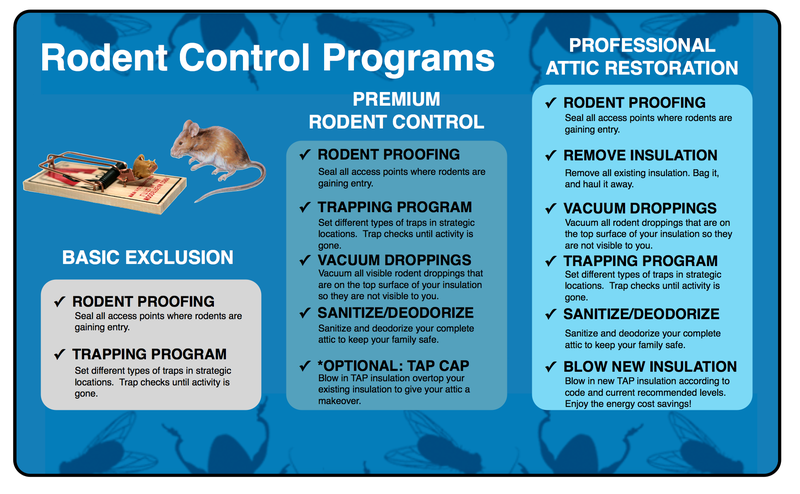 A rodent prevention program is essential to the success of your business. Rodents cause millions and millions of dollars of damage to businesses each and every year. Professional Pest Management will create a plan tailored to your facility. We will use a combination of exclusion, good sanitation, and good prevention methods to ensure the safety of your facility. A full attic clean out is recommended when rodents have been in your attic for quite some time. The tell tale signs of an excessive amount of rodents is when you see rodent droppings all throughout the attic, you can see urine stains in the insulation, burrows and nesting materials throughout the attic. In these cases it is imperative for your health that we clean out all infested insulation, inspect and seal off all entrances to the attic, vacuum all droppings, and fully sanitize the attic space. Below is pictures of before and after of an attic clean out. T•A•P Pest Control Insulation is made principally from recycled paper that is diverted from landfills. The paper is reduced in size and then fed through adisc-mill,whose exceedingly fine tolerances explode the fibers into a soft, gray, cotton-boll-like substance. The product is infused with borates through a proprietary process. The result is a thermally and acoustically superior insulation product that is environmentally sensitive and also helps control pests! T•A•P is a “loose-fill” insulation, so it is installed by blowing the product into attics on top of existing insulation (it can also be installed in attics and walls of new homes) with specialized machines. While reducing your energy bills by keeping your home warmer in winter and cooler in summer, T•A•P also controls common household pests that nest in attics and walls like roaches, ants, termites, and silverfish. 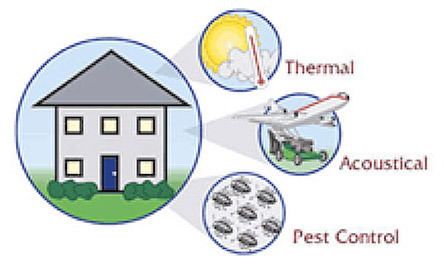 T•A•P therefore provides a long-term, preventative approach to reducing energy consumption while protecting your home from many common household insects that come in contact with the insulation. 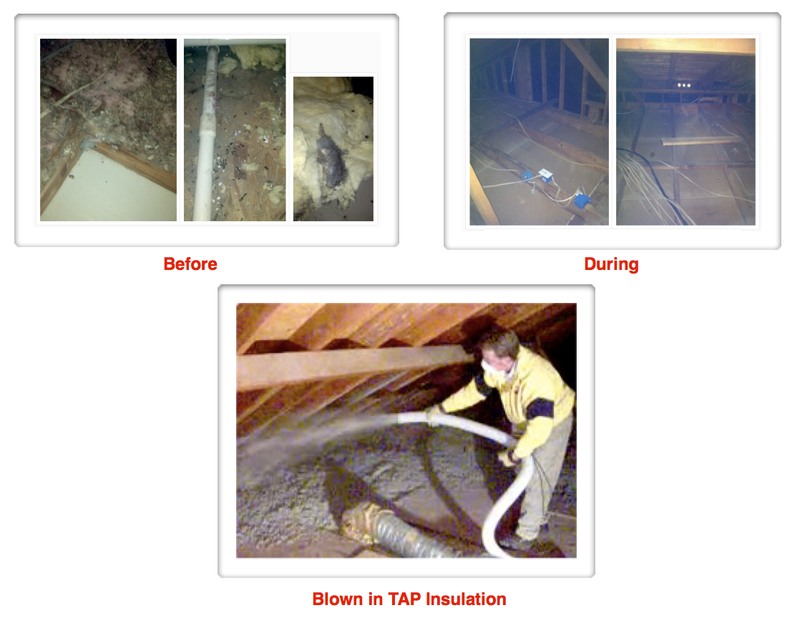 T•A•P is labeled by the EPA to control insects and is an ENERGY STAR® qualified insulation. The founders of T•A•P Pest Control Insulation designed the product with two main principles in mind: concern for people, and concern for the environment. Controlling the damage caused by Norway rats (Rattus norvegicus) and house mice (Mus musculus) often involves the use of poison baits. Using bait stations in a rodent control program may increase the effectiveness and safety of rodent baits (rodenticides). Bait stations offer a preventive approach allowing rodents to first find the rodenticides placed on the exterior of the building deterring them from entering the structure of your facility. 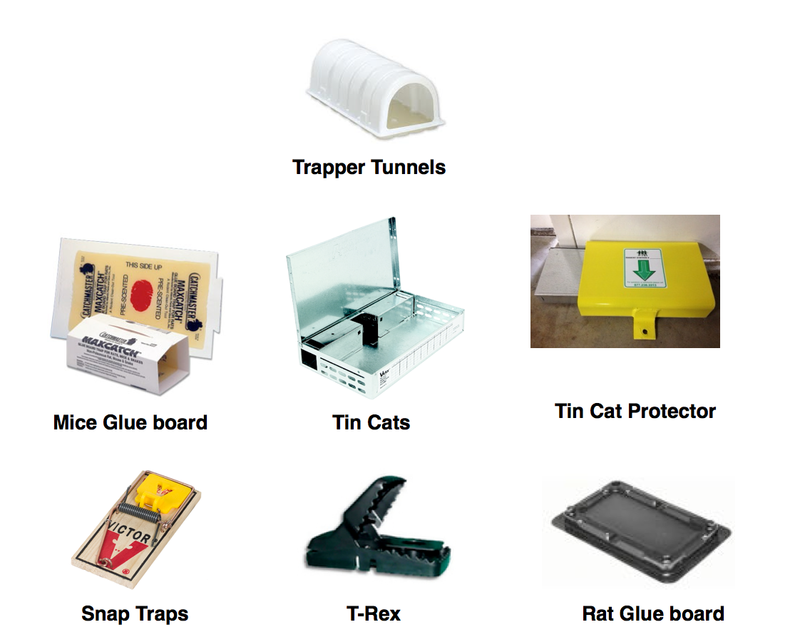 Exterior rodent bait stations offer great control in almost any setting.images-rodent-bait-stations. Professional Pest Managment gives a full one year warranty on any exclusion work performed by our company.